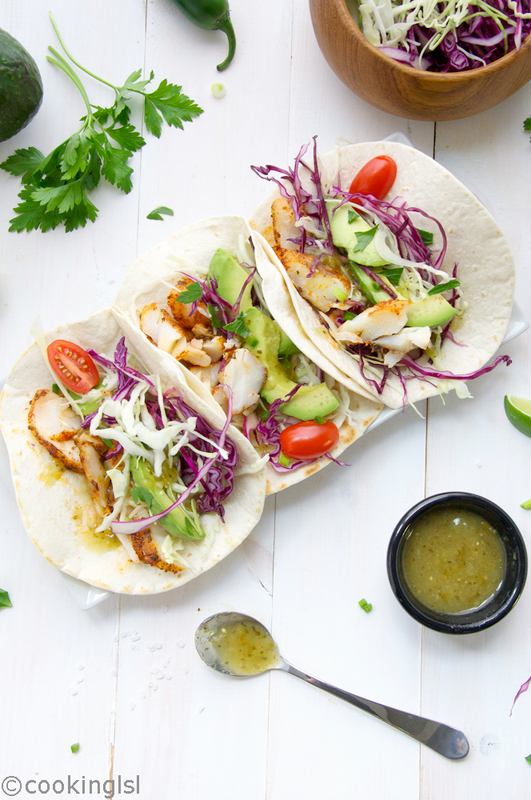 Over 20 Taco Recipes for Taco Lovers. 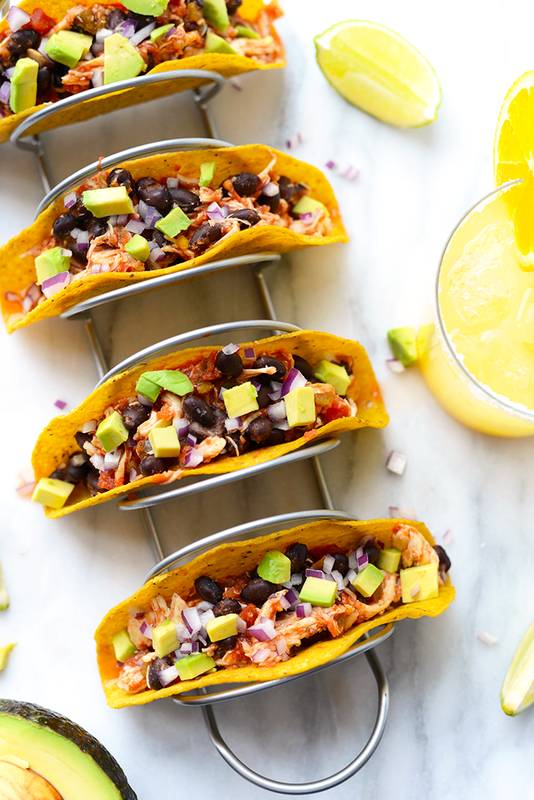 This collection is broken down into category – Chicken, Beef, Pork, Seafood, Vegetarian and even Dessert – so you can easily find exactly what kind of taco you’re craving. Hellooooo and happy Friday to you. To celebrate the end of the long work week, I’m going to talk about one of my favorite things to stuff my face with – tacos. Do you love tacos too? 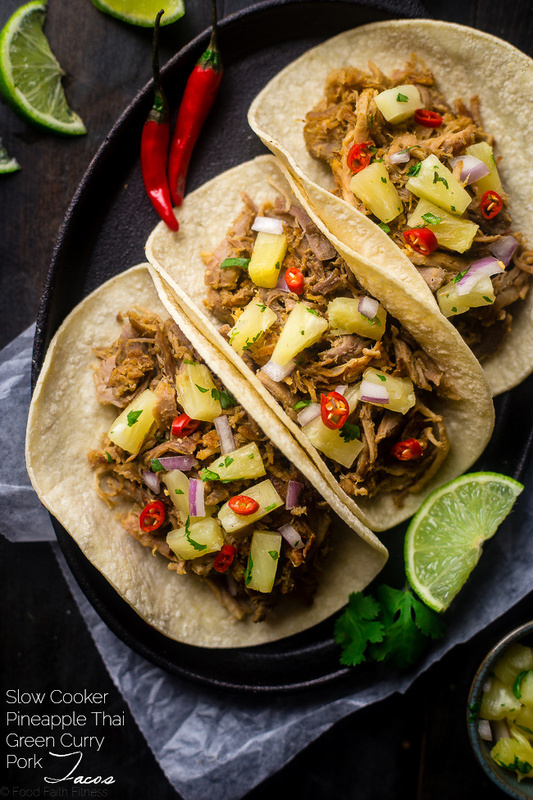 If so, I have probably made your day even better than it already is because there’s a whole lotta taco recipe goodness in this post. 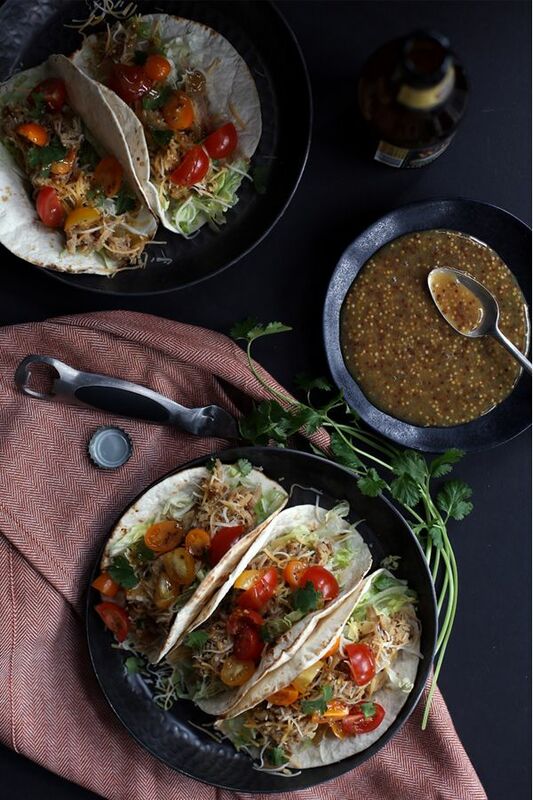 Crockpot Salsa Tacos – Fit Foodie Finds. get the recipe here. 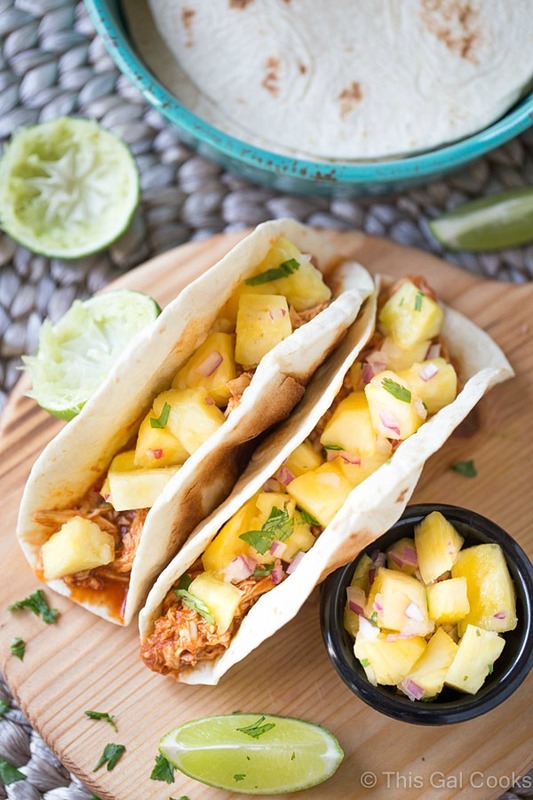 Slow Cooker Chicken Tacos with Pineapple Slaw – This Gal Cooks. Get the recipe here. 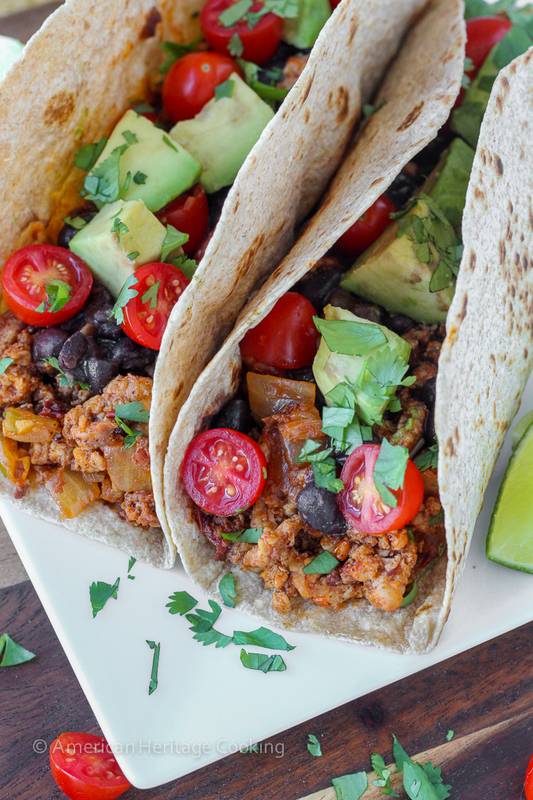 Saucy Turkey Tacos – Culinary Hill. Get the recipe here. BBQ Chicken Tacos with Purple Slaw – The Weary Chef. Get the recipe here. 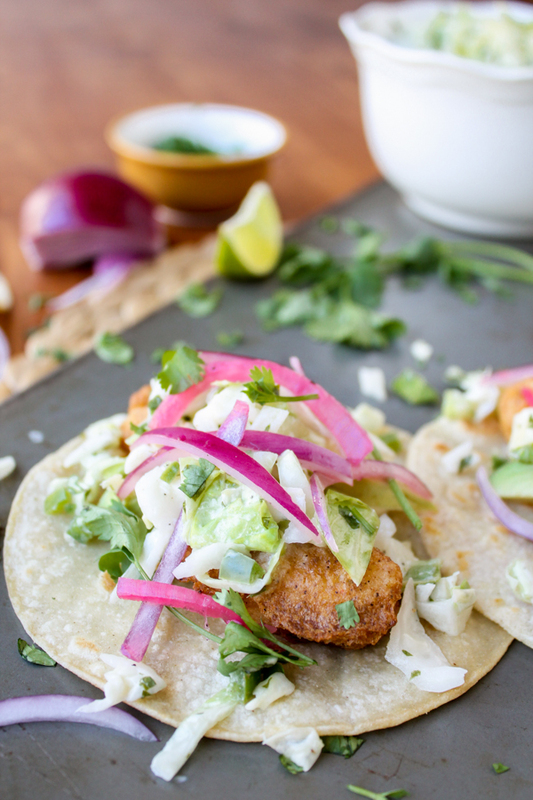 Blackened Cod Fish Tacos – Cooking LSL. Get the recipe here. 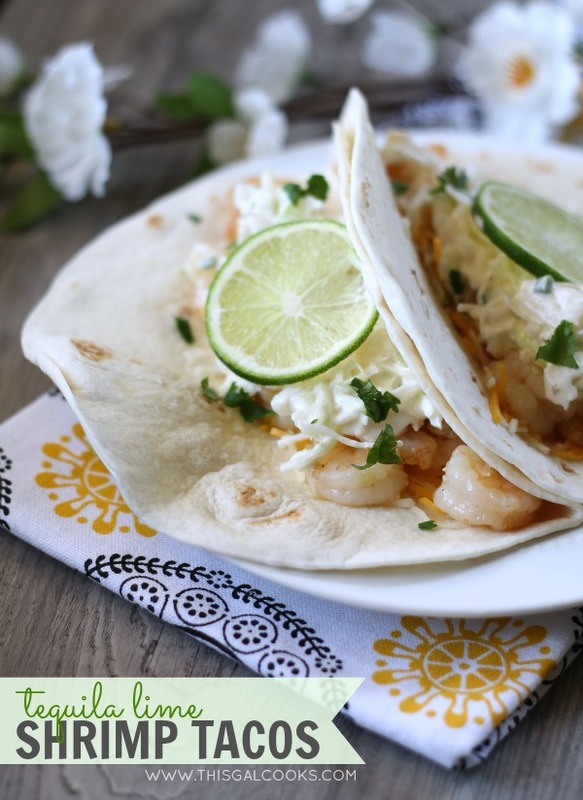 Tequila Lime Shrimp Tacos – This Gal Cooks. Get the recipe here. 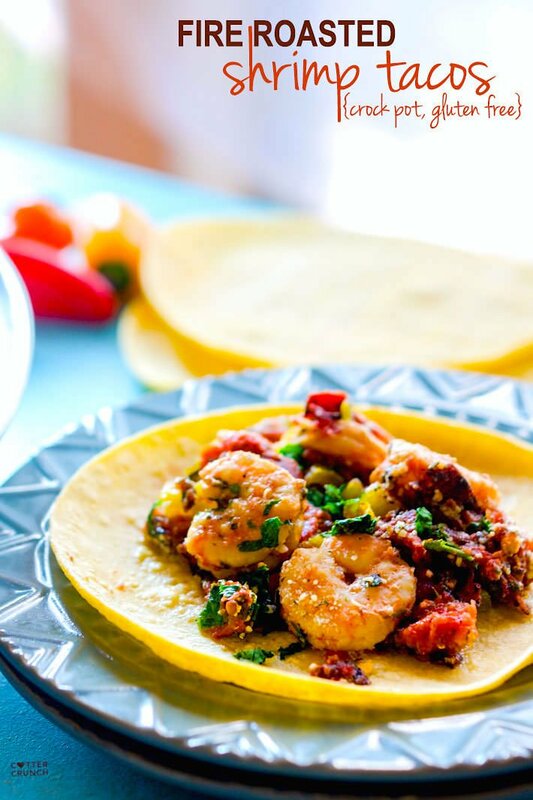 Slow Cooker Fire Roasted Shrimp Tacos – Cotter Crunch. Get the recipe here. 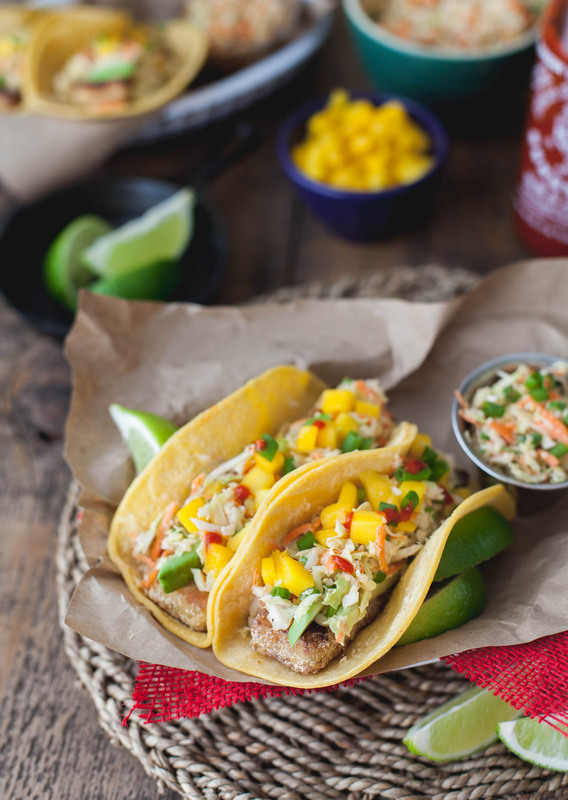 Beer Battered Fish Tacos – The Food Charlatan. Get the recipe here. 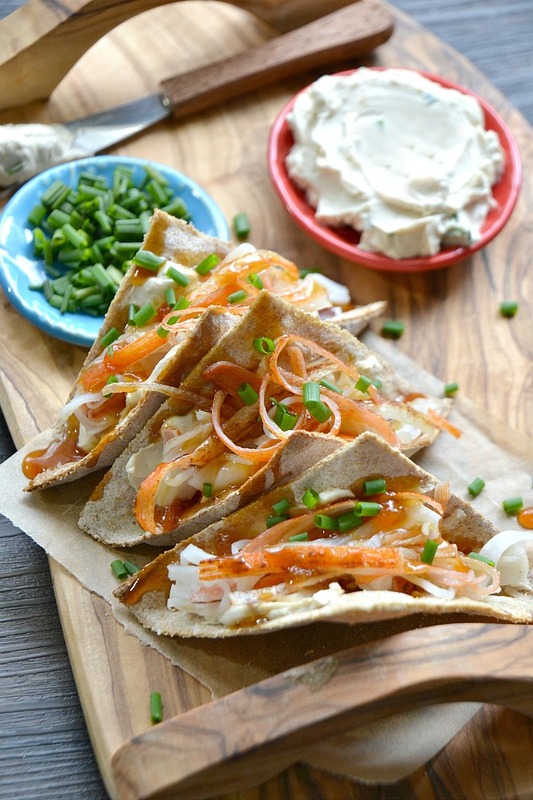 Crab Rangoon Tacos – Kitchen Tested. Get the recipe here. Salmon Tacos with Sriracha Cream Sauce – Greens n Chocolate. Get the recipe here. 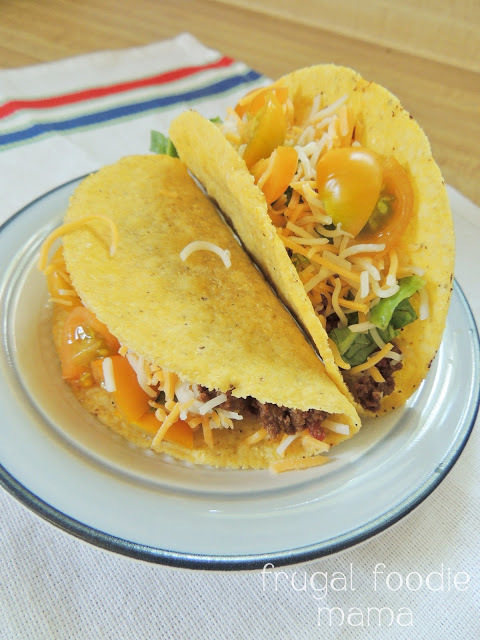 3 Ingredient Crock Pot Beef Tacos – The Frugal Foodie Mama. Get the recipe here. 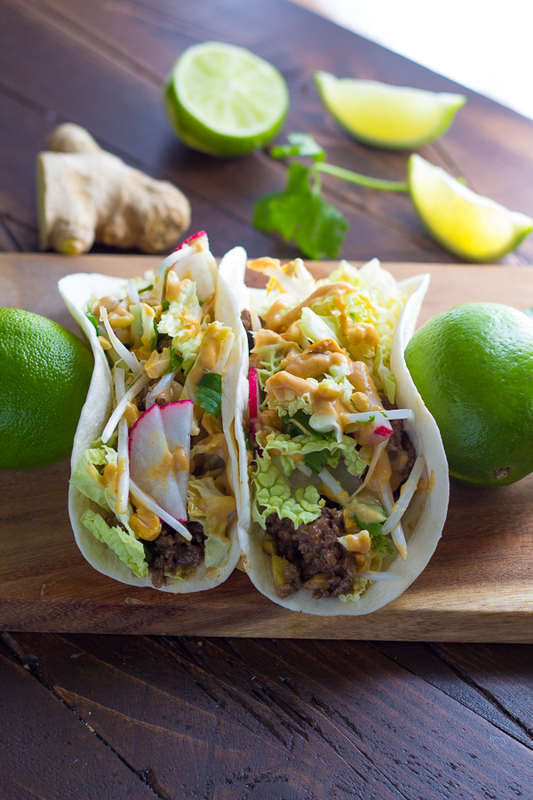 30 Minute Ginger Beef Tacos – Sweet Peas and Saffron. Get the recipe here. 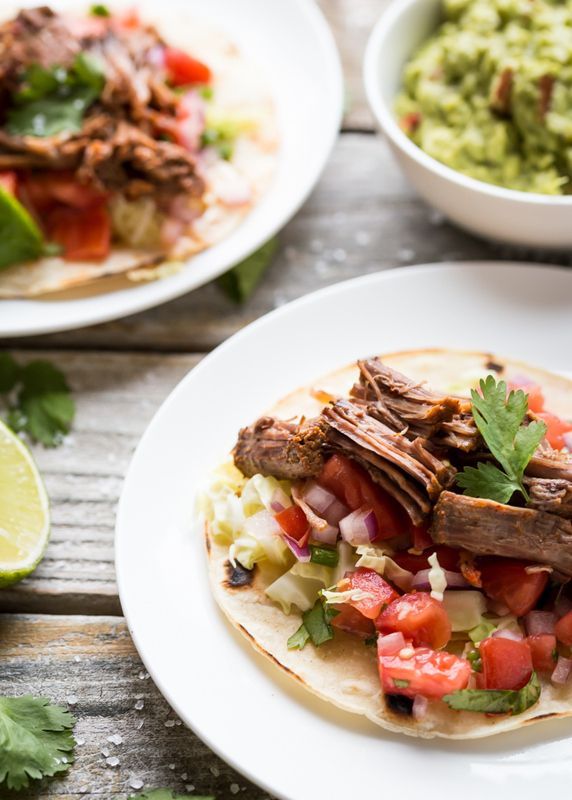 Pressure Cooker Flank Steak Tacos – Kalyn’s Kitchen. Get the recipe here. 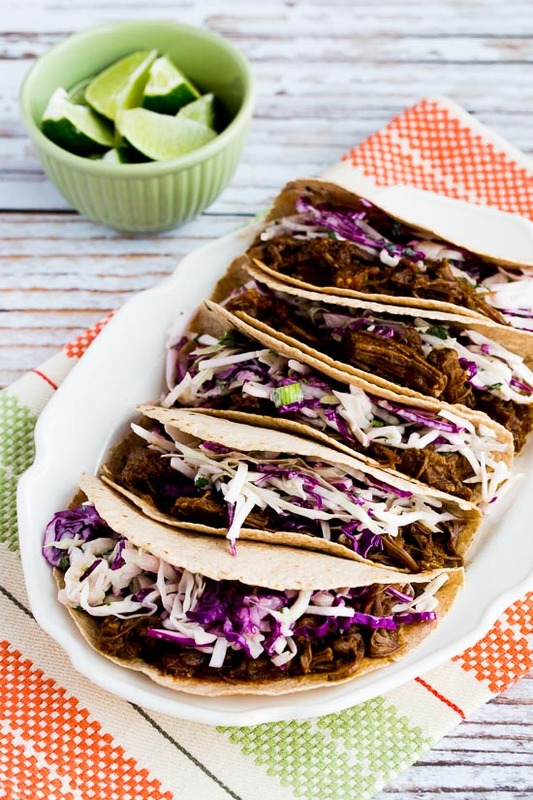 Gluten Free Pot Roast Tacos – Noshtastic. Get the recipe here. 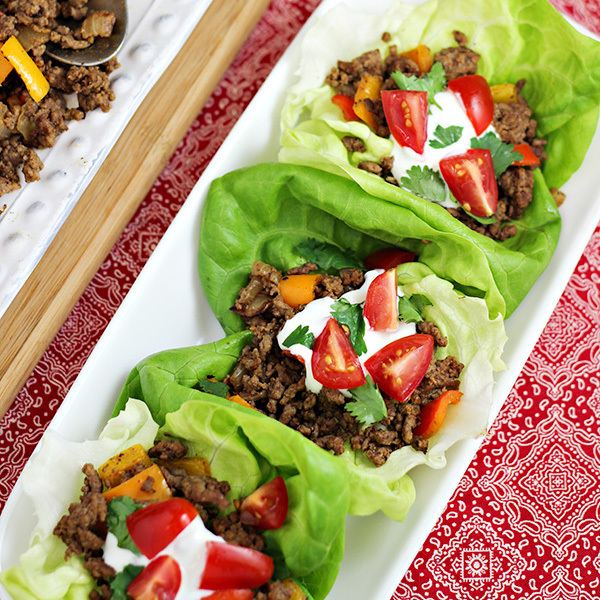 Beef Taco Lettuce Wraps – Home Cooking Memories. Get the recipe here. 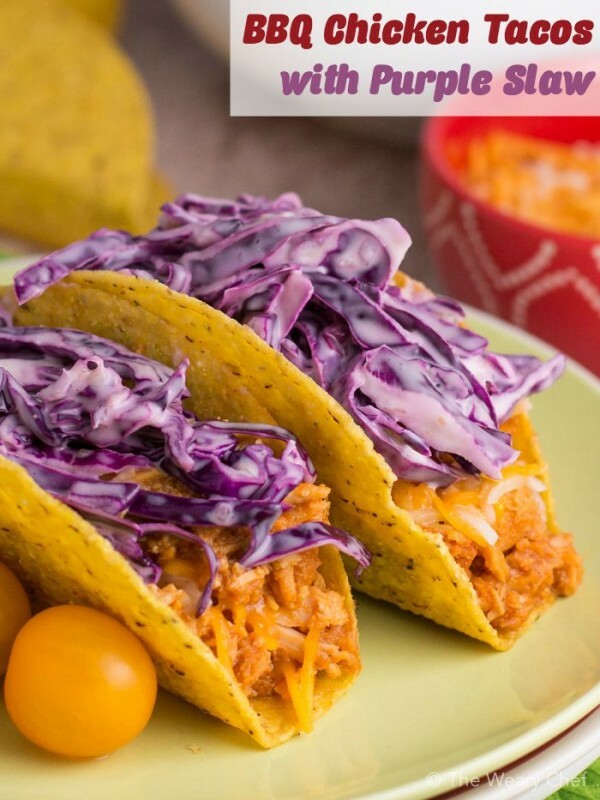 Chipotle Chorizo Chicken Tacos – American Heritage Cooking. Get the recipe here. 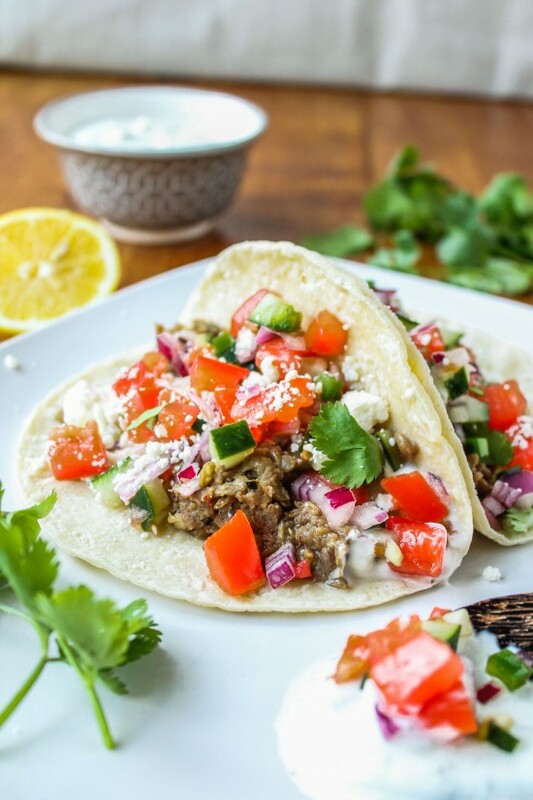 Slow Cooker Honey Mustard Pork Tacos – Melanie Makes. Get the recipe here. 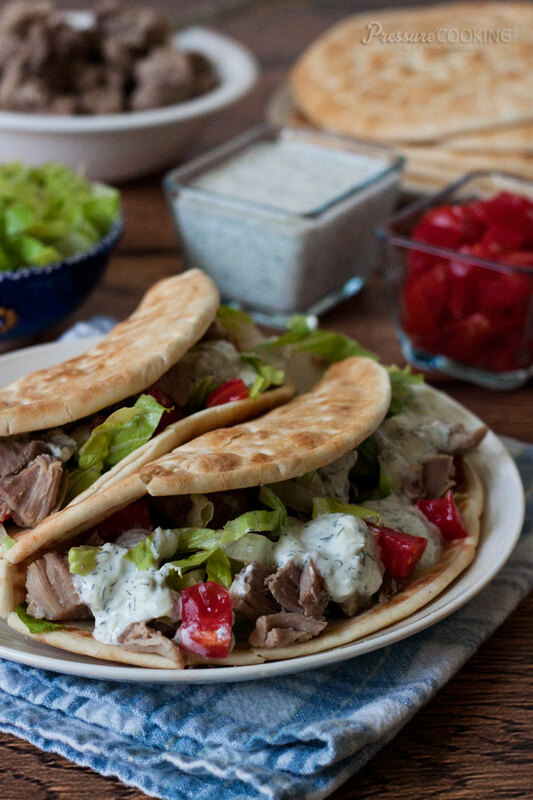 Greek Tacos – Pressure Cooking Today. Get the recipe here. 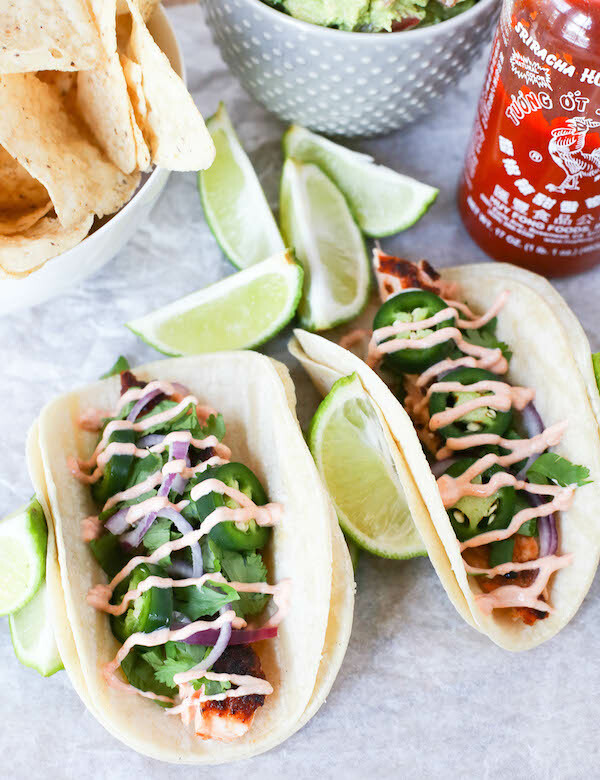 Slow Cooker Green Curry Pork Tacos – Food Faith Fitness. Get the recipe here. 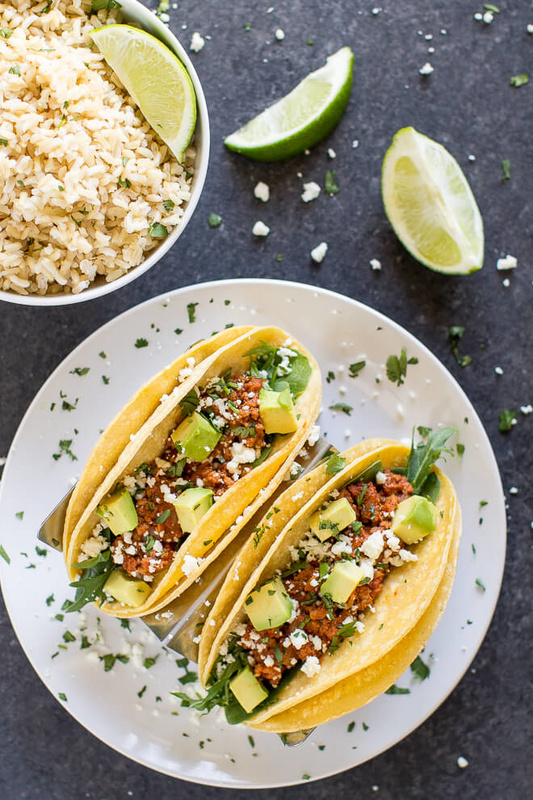 Greek Lentil Tacos – The Food Charlatan. Get the recipe here. 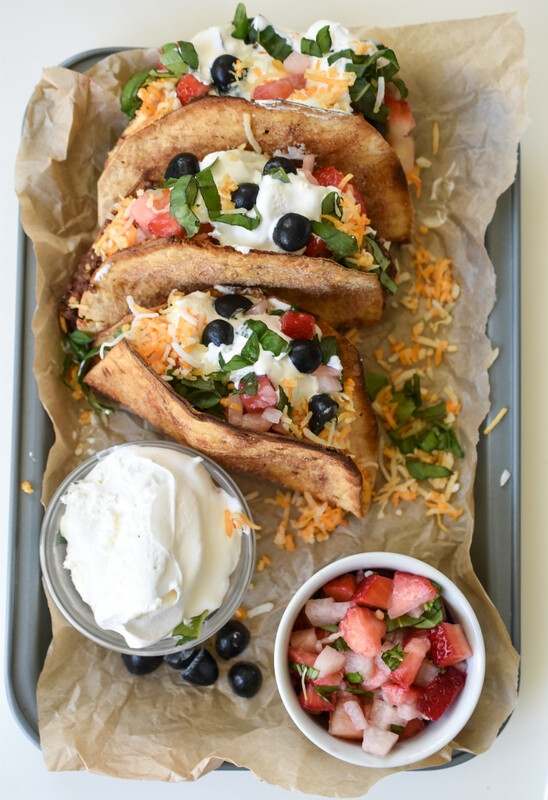 Buttermilk Fried Tofu Tacos – Snixy Kitchen. Get the recipe here. 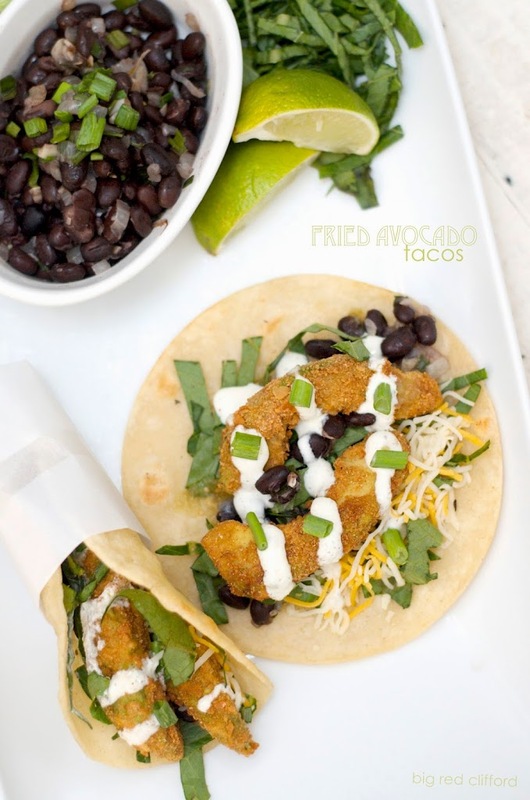 Fried Avocado Tacos – Color Me Meg. Get the recipe here. 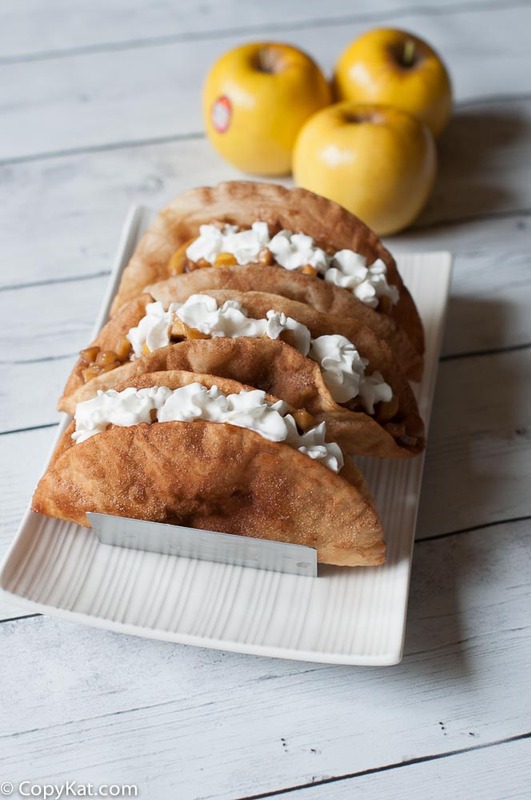 Opal Apple Pie Tacos – Copy Kat. Get the recipe here. April Fool’s Day Tacos – Fork and Beans. Get the recipe here. 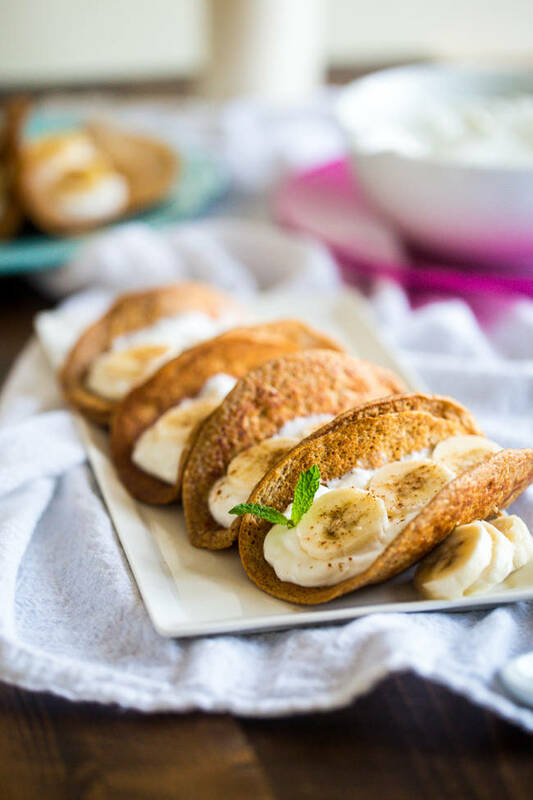 Banana Pancake Tacos – Food Faith Fitness. Get the recipe here. Let’s be friends on INSTAGRAM, FACEBOOK, TWITTER and PINTEREST! Thanks so much for the feature Julie! This is a great collection, perfect for Cinco de mayo! Pinning! You’re welcome, Mira! Thank you for stopping by! 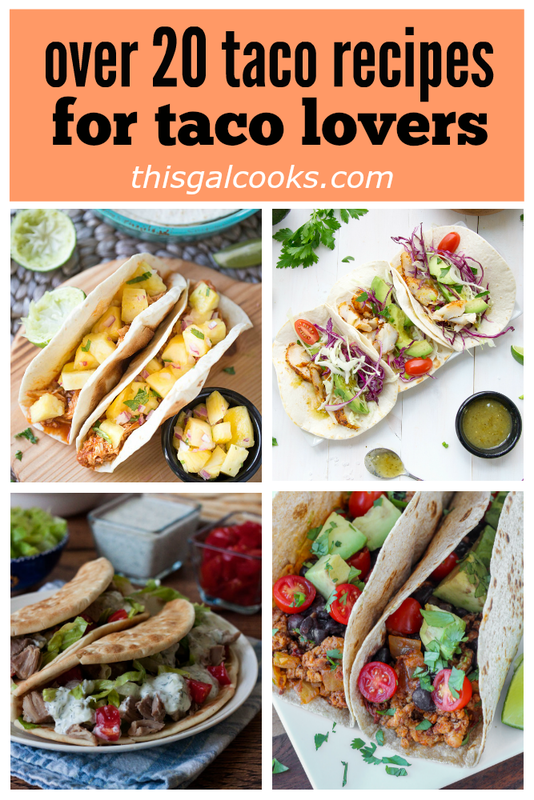 My family loves tacos, so this post is very helpful! Oh boy all of these look way better than restaurant quality. These are the best tacos I have ever seen. I need to get my game on! Thank you, Miryam! I agree – all of these tacos look GREAT! I need to have a taco party at my house, buffet style with all of these tacos! You’re welcome, Liz. Thank you for stopping by. What a great group of recipes!! Thank you for these delicious recipes! YES!! Give me all the tacos! I have to say that I am mostly a hard shell taco kind of gal except when it comes to street tacos. Street tacos have to have those soft shells, yo. ;) And thank you so much for including my crock pot beef tacos in your tasty collection, Julie. This is an epic list of tacos! Awesome variety! Pass ALL the tacos my way!